You must pass the driver theory test before applying for a first learner permit (formerly called a provisional licence). If your provisional licence or /learner permit expired 5 years ago, then you must pass the theory test again before a learner permit will be issued. EU legislation governing this area requires that citizens undergo a practical test of their knowledge of the rules of the road and motoring legislation. If you have any difficulty with reading, there is a voiceover option that will read out the questions and answers to you over headphones. Voiceover is available in English, Irish and Polish in all categories of test. A Russian and Lithuanian voiceover is available for the category BW (car). A reader/recorder service can be provided where a staff member will read the questions and answers to you and record your answer on the computer. Translator supported tests are available by special arrangement in certain test centres, if you do not understand Irish or English, even if provided over headphones. To apply for extra time, a reader/recorder service or a translator supported test you have to apply for the theory test by post. You also have to provide evidence on official headed paper from a teacher, doctor or pperson confirming the assistance you require. The full list of test questions and answers are available in book and CD formats. The CD-Rom includes practice tests, where you can sit a test and understand how the exam works. 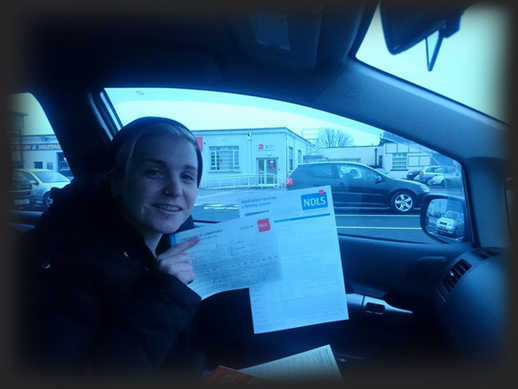 There are specific minimum ages at which you may hold a learner permit for certain vehicles in Ireland. For example, drivers of Category A1 vehicles (i.e., certain motorcycles) must be at least 16 years of age to obtain a provisional licence. Drivers of Category B vehicles (i.e., certain cars) must be at least 17 years to hold a first provisional licence. to do so only on official driving test website and anyone booking a driver theory test online to do so on the official theory test website. The reminder comes as websites across the UK continue to offer an online booking for theory test and driving test with charges well in excess of the price charged on the RSA’s official sites. There is no need for anyone to pay and share personal inforation a third-party website to book a driving test or theory test. The RSA has highlighted the gathering of such personal data by these unofficial sites to the Data Protection Commissioner, and National Consumer Agency. The RSA has also made contact with these websites to voice its concerns. The RSA has also responded by increasing its online marketing activity to signpost driving test and theory test candidates to the official RSA driving test and theory test booking websites. Q. Who has to do the test? A.Anyone who applies for a first provisional licence after April 2001 has to do the theory test. Q. How many classes of theory test are there? Q. What does the test entail? Q. How many questions are in the test? A.The questions you will be asked in your driver theory test are based on the Rules of the Road and current road traffic legislation in Ireland. The Driver Theory Testing Service has a bank of 1,250 questions. For each test, a random selection of 40 questions will be used from the question bank. Q. What if I am unhappy with the result of the test? A.If you are unhappy with the result of your theory test, you have the right to appeal this decision. Speak to the Driver Theory Test supervisor before leaving the test centre. You may also fill out an appeal form, available at each of the Driver Theory Test Centres. When your appeal is received, your test will be re-marked and you will receive the result within five working days. Your test will not be re-marked by staff in the test centre where you conducted your test. Instead, the Theory Test Centre head office will review your test and conduct the re-marking. If it emerges that the original marking was incorrect your fee will be refunded and your theory test certificate will be issued.